Also a request from our clients. This is a generic skin care capture page ideal for many skin care companies. To view this page in action click here. The emphasis of this capture page is precious metals whether they are silver, gold or platinum. A client request that markets a company that has a tea for detoxification. This capture page is designed as a sizzle for an opportunity to make money. The top and bottom banners as well as the submit button and video are all editable. There is no programming knowledge required. Some graphic art skills may be required depending on what you are trying to accomplish. We do have designers that do paid work if that is something that you would want to do. This page is a 2-step system, the second page explains what to do with the confirmation email and has your contact information as well as a button that goes to your opportunity. To view this page in action click here. 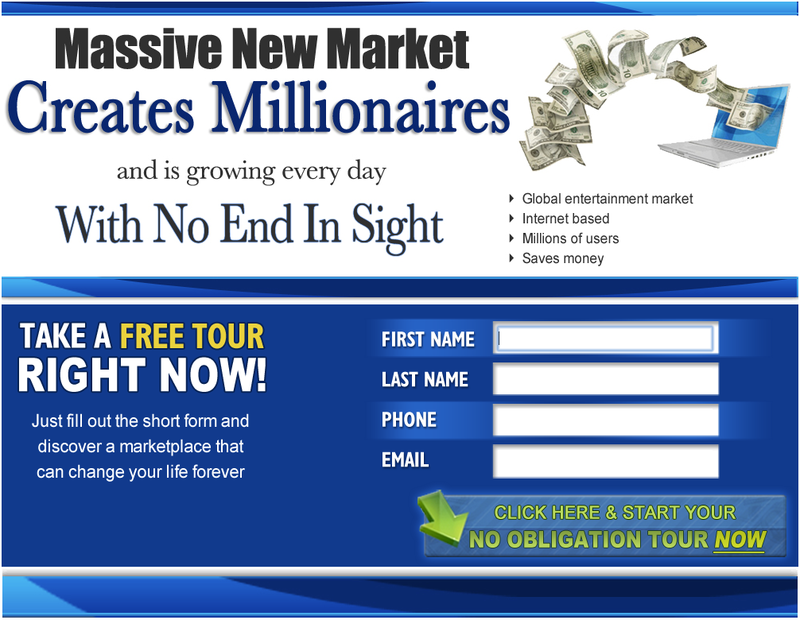 This capture page is designed as a sizzle for an opportunity to make money like the first one. The top and bottom banners as well as the submit button are all editable. On this page there is no video. Penny auctions sprouted up everywhere in 2012. You can use any opportunity capture page to get people to consider the opportunity behind the penny auction. This page is designed for customer acquisition. There is a news clip promoting the benefits of the penny auction with a rotating won auctions media piece. The capture form takes the visitor to a second page like other pages. A number of elements can be changed on this page. Weight loss is one of the largest markets. It is editable like others and has a second page to give instructions to the prospect about the confirmation link in the email. Here is a capture page with a great news clip talking about the potential of electricity deregulation as an income source for lots of people that are willing to do the marketing. A number of elements can be changed on this page including the video. Lead Capture Page Boss operates a free affiliate program and this capture page was provided for the affilaites to market advertise their lead capture system and build a list with free accounts. A generic lead capture page for companies that have pet care products. Whether they are nutritionally related or a special pet product. We have plans for more and more pet pages because of the market growth so if you would need another pet care page let us know. A request by a number of our clients we designed this page for them and success is reported. The video space can display any video on YouTube. This is a sampling of our sites and they are added on a weekly basis.